This drawing started from within. 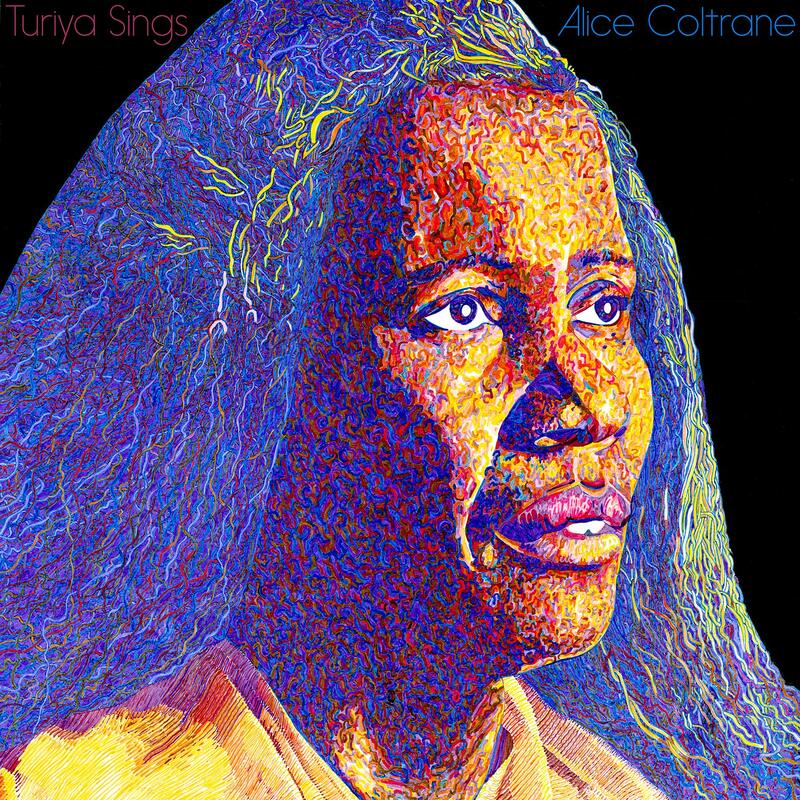 While designing the cover for The Ecstatic Music of Alice Coltrane Turiyasangitananda, I kept pushing for illustration, and this drawing represents my final push. I spent 3 weeks completing it, working as much as possible per day with children's markers. It's a 50 hour drawing at least. Luaka Bop decided not to use this image and rather a vintage photo, so then I brought the drawing, which was uses the original photo from Turiya Sings to Hen's Teeth Prints in Dublin, Ireland for their showcase along with This Greedy Pig of fantasy covers for favorite albums chosen by the artists in the show Fantasy 12. I took photos of the process and combined them into this animation below. You might notice that I incorporated a number of om symbols into the drawing, and I didn't use any black, except to paint the background. After I completed a poster of Alice for an RBMA Festival in New York in 2017, I had the rare opportunity to present the original as a gift to Sita Michelle Coltrane, who currently has it in her bedroom. Prints can be ordered through Hen's Teeth's website.